Galaxy is the world’s first enterprise platform delivering seamless city centric services for management of its ecosystem comprising of critical components of a city. 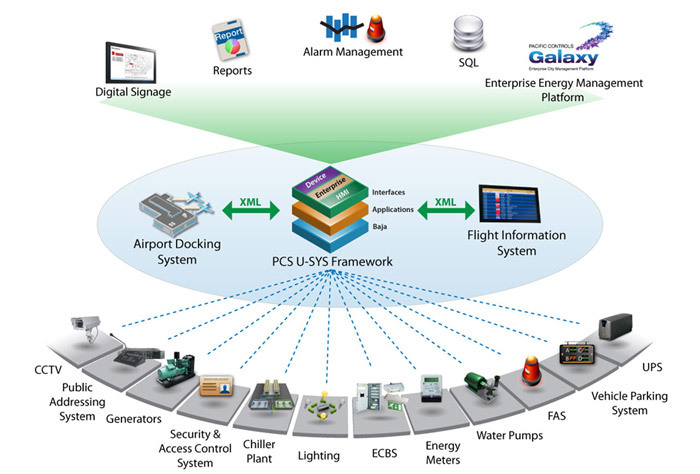 Pacific Controls Galaxy is the world’s first enterprise platform delivering city centric services for management of its ecosystem comprising of energy, real estate, homeland security, healthcare, hospitality, transportation, education, financial, industrial and retail. Galaxy will integrate with management information systems to deliver optimization and governance centric data that will enable cost reduction of operating a city and its services through increased operational efficiencies and peculation of real time data to the relevant decision makers in the city. 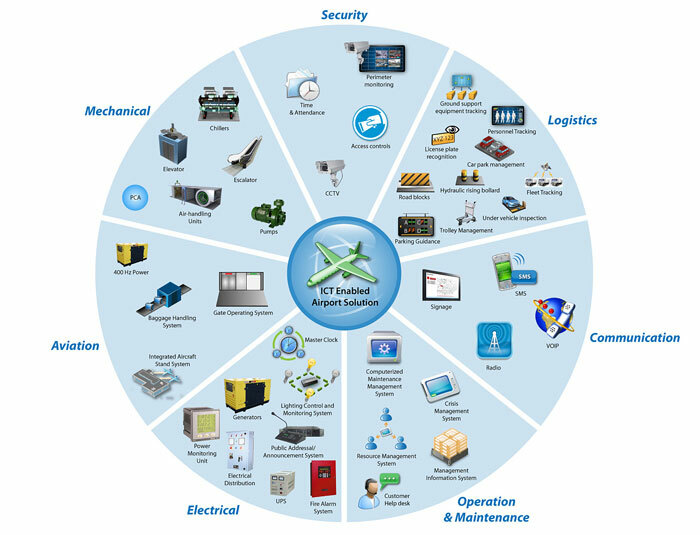 Building owners, contractors, real-estate companies, government entities, and infrastructure owners like utilities , airports, telco’s can collaborate and leverage the resources of the Pacific Controls Command Control Center to optimize their operations, reduce their service costs, increase their return on assets and have the capability to remotely manage them in real time. Galaxy offers modularity in application components. The framework is flexible, scalable and elastic to add on or trim down the functionality based on business process and key performance indicators around the ecosystem. The application layer of Galaxy is designed to deal with a range of services and it acts as a single point framework to deliver a unique proposition of services in a managed service delivery model. The Galaxy platform enables third-party applications to be developed and integrated to be the part of the managed services ecosystem. Pacific Controls will host Galaxy on its enterprise cloud that will enable any asset owner anywhere in the world to subscribe to the managed services offering in a cost effective manner. Multinational organizations will be able to leverage the Pacific Controls cloud to manage its business process and assets globally on a single platform. The Pacific Controls Command Control Center is a new paradigm in city management and delivers collaborative solutions using ICT for the city’s ecosystem. Pacific Controls Galaxy addresses the challenges of climate change and the management of city’s resources by carrying out real time measurement and verification of its carbon footprint, converging services horizontally and vertically through the applications of ubiquitous technology enabling more convenient and quality life, safe and sustainable living environment through continuous and systematic management of the city’s ecosystem.